There are at least 5 bands called Jinn. See below 1) JINN is a four-piece j-rock band. 2) Jinn is an American industrial rock band. 3) Jinn was a grindcore/thrash band from UK. 4) Jinn is an Austrailian rock band. 5) Jinn is an American jazzy/blues/ambient group. 1) JINN (See ??) is a four-piece j-rock band that is known for performing the fourth opening theme called "Raion" for the anime series "Blood+", as well as "Kaidoku Funou", which is used as the 2nd opening theme for 2007's "Code Geass: Lelouch of the Rebellion". 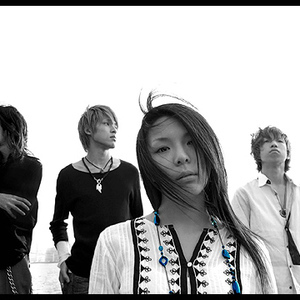 1) JINN is a four-piece j-rock band. 2) Jinn is an American industrial rock band. 3) Jinn was a grindcore/thrash band from UK. 4) Jinn is an Austrailian rock band. 5) Jinn is an American jazzy/blues/ambient group. 1) JINN (See ??) is a four-piece j-rock band that is known for performing the fourth opening theme called "Raion" for the anime series "Blood+", as well as "Kaidoku Funou", which is used as the 2nd opening theme for 2007's "Code Geass: Lelouch of the Rebellion". Jinn was formed in 2003, when their members were just out of high school. In fact, the eldest member, bassist Mitoki, was born as recently as '85. Their first-full length album, ????? (Translation: Lemmings) was released in early 2007. 2) Jinn is a rock/industrial/alternative band formed by Adam Harmon and Tim Neu based in Salt Lake City, Utah, USA. Two full length albums have been released. "Erased (2005)" and "Shadowed In a Silent Era (2007)". On the 7th and 8th of December 2002 we popped over to the sleepy hamlet of Clara Vale to spend 16 hours burping and farting in an old colliery work shop... and while we were there Frankie Stubbs helped us capture the sound of a moderately large size door slamming in the depths of the countryside! The first of these recordings was released as split LP with Ebola on Totenschiff records in October 2003, the remainder as a split LP with The Suicide Handbook on Totenschiff records in November 2003. On the 20th of February 2004 we popped back over to the sleepy hamlet of Clara Vale to spend 8 hours burping and farting in an old colliery work shop... and once again Frankie Stubbs helped us capture the sound of a moderately large size door slamming in the depths of the countryside! Two weeks later we went back to mix it and the first of these recording will be released as split 10" with The Army Of Flying Robots released by theaudaciousartexperiment. As yet we have not decided the fate of the remaining songs! 4) Jinn is a Rock/Alternative/Metal/Roots band from Newcastle, Australia. 5) JInn is a jazzy/blues/ambient rock solo group released by Simple Kool LLC based in the SF Bay Area. Two cds released. "The Vision Infinite" is a solo cd with all intruments played by Derek Cooper. Latin-rock jazzy instrumentals in the Santana line. "The Vision Beyond" is a collaboration with Oakland based musicians Paul Johnson, Connell Page and Greg Davis. Sounds vaguely like a blend of Santana during his Carvanseri days over slamming East Bay funk mixed with acid hip hop beats.